One could feel a hint of irony in my words, but it does not relate to people’s wish itself to pray for their parents, grandparents, and in some families, for children who have left their fathers and mothers too soon. Such a wish is natural and creditable. However, I would like to offer a somehow wider view on these prayers for the departed. First of all, let us pay attention to the fact that a Saturday itself – as a day of the week, not necessarily an ancestral Saturday – is dedicated to praying for the repose of the departed Christians. 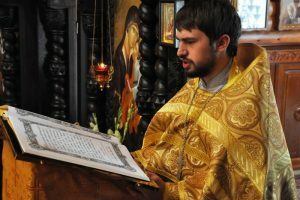 In order to make oneself certain, one could merely open any part of the Octoechos that is read during matins on Saturdays. However, a prayer to saints always goes alongside a prayer for the departed at a regular Saturday service. 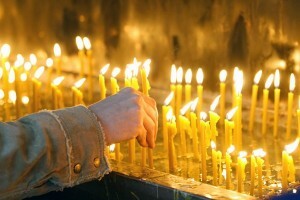 These prayers are addressed to, first of all, martyrs, but also to holy hierarchs, prophets, and the venerable saints. Is it a coincidence that prayers for the departed and to all saints go alongside? It seems not. Modern people consider saints to be a special class of people: first of all, they have died, and secondly, their holiness has been testified by a formal church document, which is canonization. However, this understanding of holiness was not initial. If we take the New Testament, we will see that holy people were not “special” people, but Christians, who were called so just because they were members of the Church. “But now I go unto Jerusalem to minister unto the saints,” the Holy Apostle Paul said. “For it hath pleased them of Macedonia and Achaia to make a certain contribution for the poor saints which are at Jerusalem” [Romans 15:25-26]. Therefore, there is no impassable boundaries between the saints, who have already passed away, and Christians, who still live in this world. Both of them are members of the Church, and both of them have become members of the Body of Christ in order to inherit the Kingdom. During Proskomide Service, we commemorate (commemorate!) the Mother of God – “In Honor and remembrance of Our Most Blessed Lady, the Theotokos and Ever-Virgin Mary, through Whose intercessions do Thou, O Lord, receive this sacrifice upon Thy most heavenly altar” – and the Forerunner, and other saints, but also those living and dead whom the priest and the congregation commemorate. I will stress this one more time: all of us, even though being sinners, but Christians, and the departed for whose sitting “together with Abraham, Isaac, and Jacob” we pray, and those of whose holiness we are confident are all members of one Church and one Body of Our Lord and Savior. Therefore true and truly meaningful commemoration of the departed will only occur when we show and testify our unity by taking part in the Liturgy and the Sacrament of Eucharist, in other words, taking the Body and Blood of Christ. Yes, a night requiem, memorial service, litia, donation of money and products to a church are all good and right. But if the most important part is absent, which is participation in the Eucharist, the secondary activities start to play a role which has not been given to them, and thus, they put the main sacrament of the Church into the backwoods of our life. We are capable of correcting it. Let us try to prepare for Confession when we come to a church on an Ancestral Saturday in order to purify our souls from acquired sins. There is no doubt that it will bring consolation to our departed relatives too, because, I will repeat it again and again, all of us are members of one Body and all of us are communicating vessels in some way. 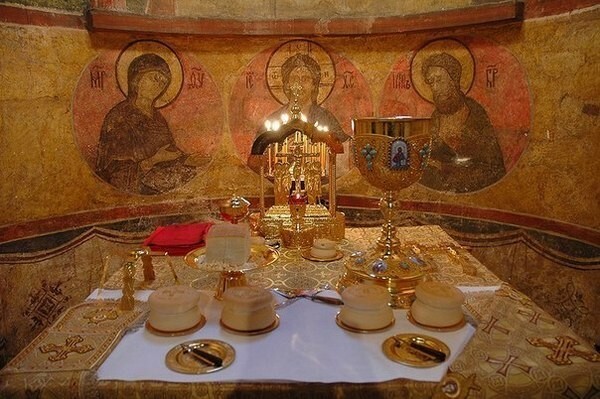 Having made a confession, we can receive Holy Communion, according to our tradition. 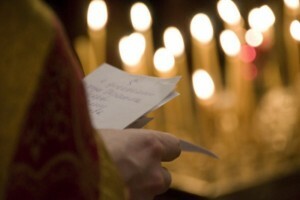 Thus, we can join Christ and our brothers in Christ, both living and the departed.